Introduced in 1953 the Rolex Turn-O-Graph (reference 6202) featured many firsts for the brand. 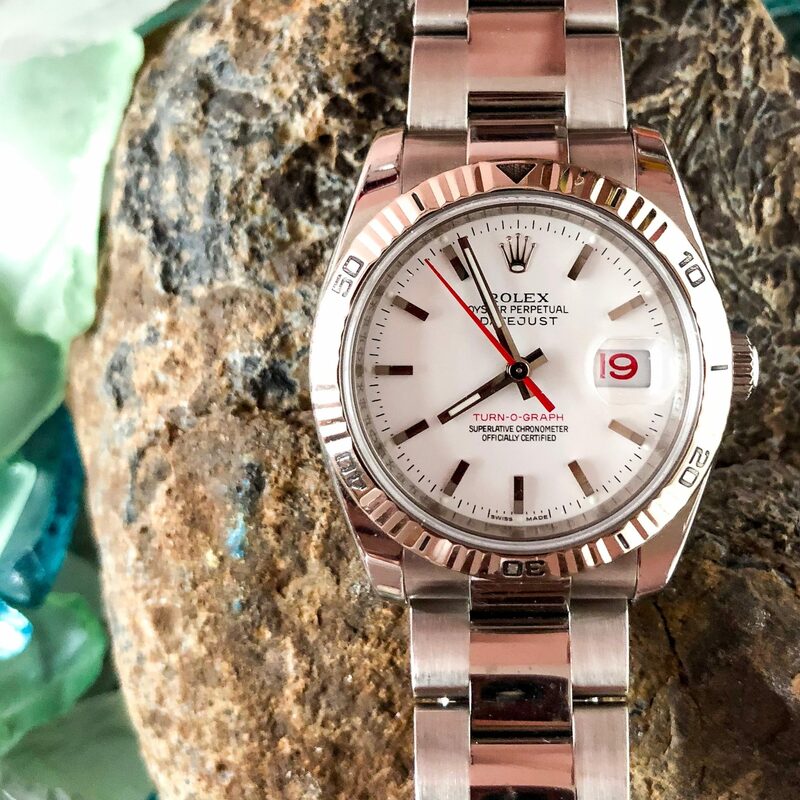 It was the first serially produced Rolex to offer a rotating bezel and the first model to be offered in two-tone steel and gold. The Turn-O-Graph was also the official watch of the U.S. Airforce Thunderbirds in the 1950s. Even with these innovations the watch never really found the following of the Submariner or Datejust. Production of the 116264 Turn-O-Graph came to an end in 2011 and that’s really too bad because the modern incarnation is an outstanding watch. 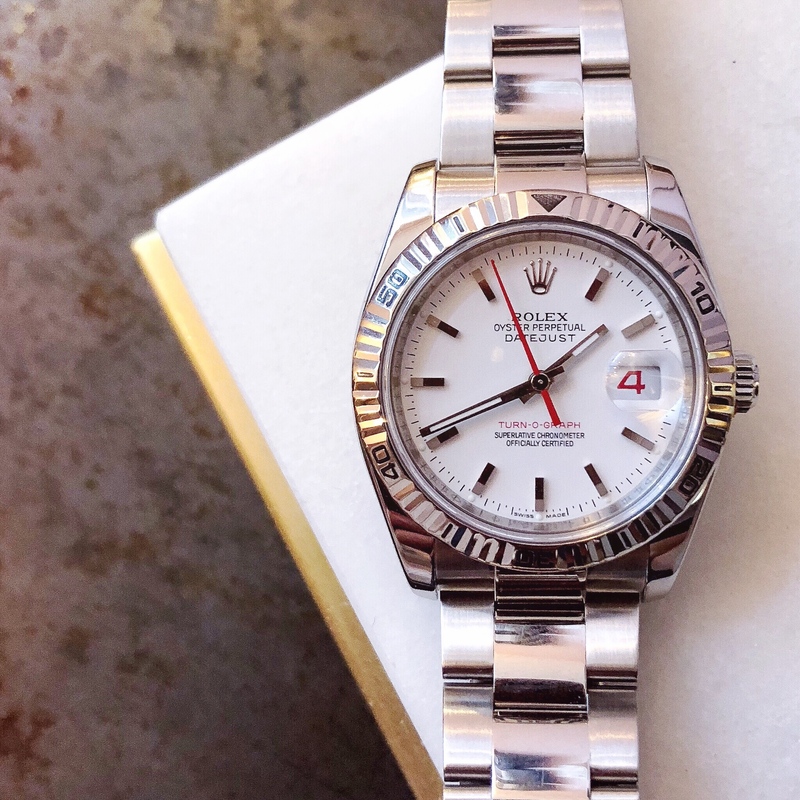 The 2006 model my wife wears features a white face, Oyster bracelet, an 18 karat white gold fluted bi-directional turning bezel, and a red second hand with matching date wheel that really pops against the white face. The watch strikes the perfect balance between a dress watch and a sport watch for her. The 36mm size is not as chunky as a Sub would be, but the bezel is larger than Datejust giving the watch a bit more presence on the wrist. Because it straddles the line between a sport watch and a dress watch the Turn-O-Graph looks equally at home with casual outfits as well as dressy looks. 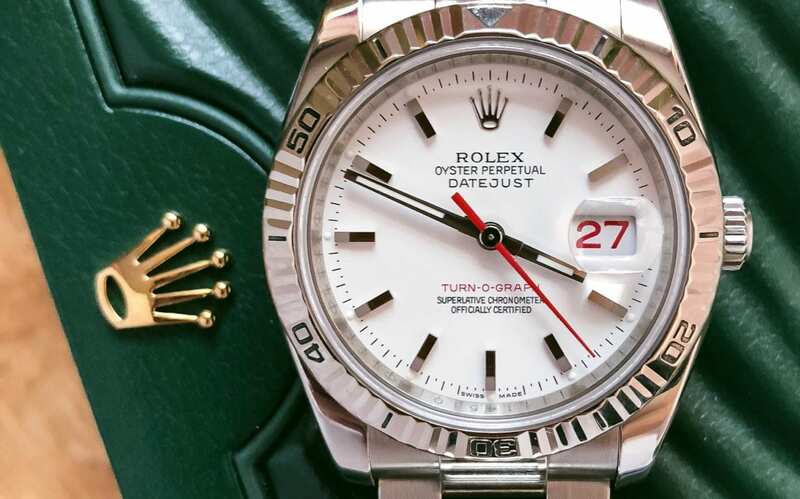 And since the model isn’t as popular as a Datejust or other Rolex sport models it makes the watch somewhat unique; in fact, I haven’t seen another 116264 “in the wild.” If you’re looking for a Rolex that has a storied history and is a bit different than a Sub or Datejust I highly suggest seeking out a Turn-O-Graph.